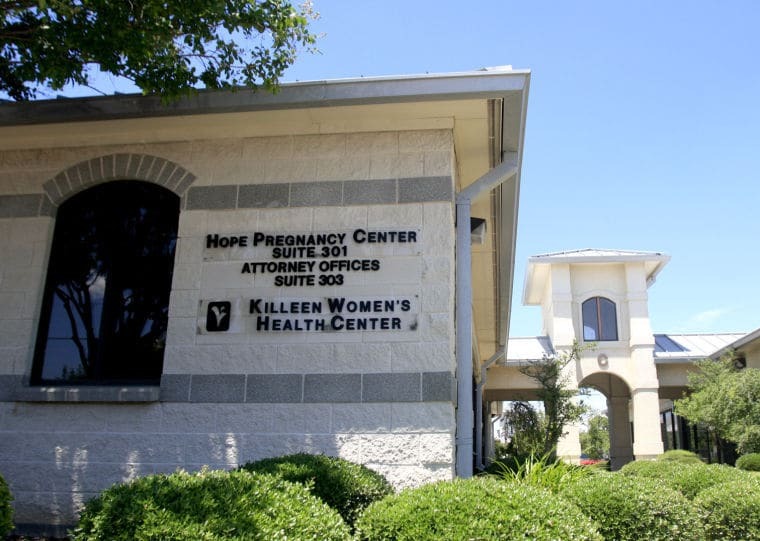 What Happened to the Abortion Clinics in Killeen, Texas? We often get asked: What happened to the abortion clinics in Killeen, TX, and in particular, Killeen Women’s Health Center? The answer is a little complicated, so we thought we’d share the whole story with you on our blog. In 2013, the Texas Legislature passed House Bill 2 (HB2), an omnibus abortion bill affecting reproductive health care clinics across the state of Texas. The intent of HB2 was to make abortion obsolete by requiring clinics to meet restrictive, hospital-like standards in order to operate. The bill mandated all clinics meet the same requirements as ambulatory surgical centers, a burdensome and medically unnecessary requirement for abortion clinics. HB2 also required physicians have admitting privileges at a hospital within 30 miles of the abortion clinic. Since both surgical and medical (abortion pill) abortions are safe procedures, none of the HB2 requirements would result in increased safety for people seeking reproductive health care in Texas. For example, ambulatory surgical centers must meet strict facility guidelines, including minimum room and doorway sizes, the inclusion of multiple janitorial closets, and space for male and female locker rooms. These requirements do not affect the safety or quality of the medical care provided at abortion clinics. Likewise, abortion safety doesn’t increase when a physician has admitting privileges to hospitals within 30 miles of a clinic. Texas lawmakers gave clinics a very short amount of time to meet the burdensome and medically unnecessary new rules or shut down because they could not comply. Prior to the 2013 implementation of HB2, Texas had 41 licensed reproductive care clinics. After HB2 went into effect, only 19 remained open. They all faced overwhelming financial and logistical pressures. Unfortunately, the largest burden of HB2 continues to be carried by women who live in rural Texas areas, since geographic constraints make obtaining admitting privileges at a hospital within 30 miles nearly impossible. In fact, HB2 rules resulted in the closure of our sister clinic Killeen Women’s Health Center (KWHC). Though our providers had privileges at the multiple hospitals in the Austin area, our Killeen clinic fell outside the 30-mile radius rule. At the time, the only hospital within 30 miles of the KWHC was Metroplex Adventist Hospital. Because Metroplex Adventist is religiously affiliated, the likelihood they would grant permissions to an abortion provider was slim to none. Our doctors and staff at Austin Women’s Health Center faced a difficult choice. 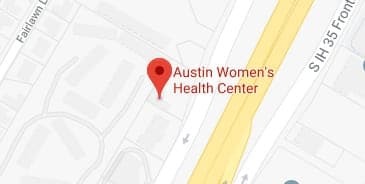 It was clear that our clinics (neither in Austin or Killeen), would be able to comply with the requirement that facilities (even those only providing the abortion pill), meet ambulatory surgical center standards by the 2014 deadline. We realized that in order to provide the best care to the women of Texas, we needed to centralize our resources and staff to the Austin office. In the summer of 2014, we made the difficult choice to close the Killeen Women’s Health Center. Despite closing KWHC, we continue to be committed and dedicated to the women of Killeen & the surrounding area. Our phone rings with the 254 area code telling us our services are still needed in Killeen. We empathize with our patients who share stories of how burdensome it is to travel (sometimes 2 hours), to our Austin office not just once, but twice so they can comply with the 24 hour waiting period requirement. Thankfully in 2016, the U. S Supreme Court ruled that Texas’ 2013 abortion restrictions placed an undue burden on a woman’s constitutional right to an abortion and overturned the Texas law. Unfortunately, reopening the network of Texas abortion clinics that were shuttered by HB2 will take many years. We thank the Killeen community for housing our Killeen Women’s Health Center for over ten years and remain committed to the Killeen community despite our 2014 closure. We continue to offer our Killeen patients compassionate, comprehensive and dedicated reproductive health care at our Austin location. Please schedule an appointment and come see us if you need abortion care services or an annual well-woman exam. We will be honored to have you!